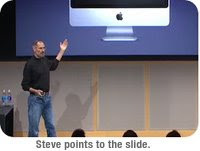 Here are some differences, I noticed between Bill Gates & Steve Jobs. He does rethinking after launching new product He does inventive thinking, then launch new product. Uses terms like “rich capabilities,” “rich fonts,” “rich way”. Uses terms like “cool way,” “cool features”, “amaizing..”. Has windows explorer, can run on Mac, in which Bill gates can hide himself. Has a Finder which can find Bill gates as well. If you know more or want to share more, post your comments. It’s so lucky for me to find your blog! So shocking and great! Being that we already seem to be sharing factors regarding Bill Gates vs. Steve Jobs | iGeek Blog, Remember that first impression lasts. Being prepared makes a good first impression to your employer and it is always considered plus points. You would not want to find yourself borrowing a co-applicants pen. Be prepared with the details about your previous employer. You should be prepared mentally and physically.